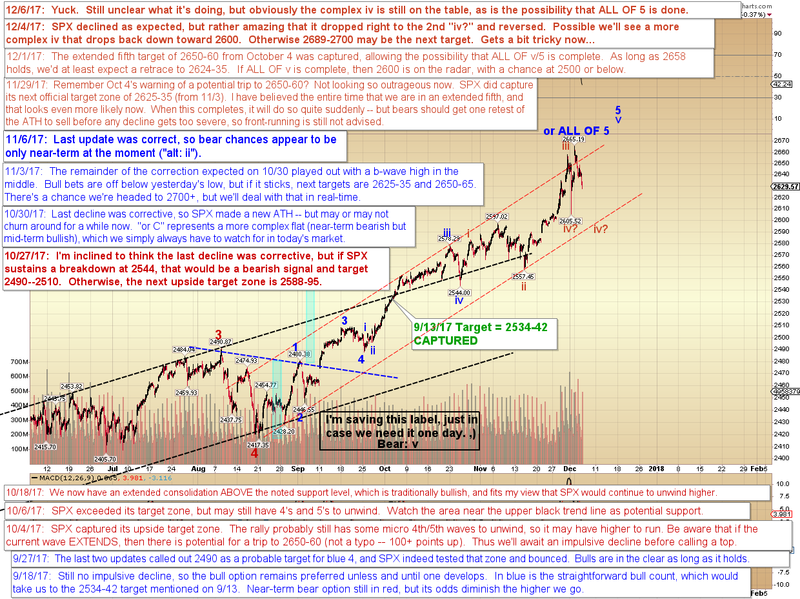 Last update noted the potential that we could reverse back down to break the prior low for a more complex wave iv, and SPX has been on a relentless, though subdued, decline ever since. Thus the more complex iv is obviously still on the table. 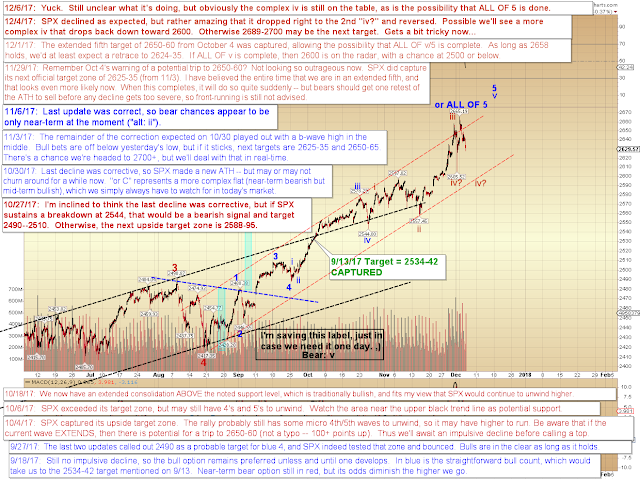 Complicating matters, though, is that because the last rally did make a new all-time high, it is entirely possible that ALL OF 5 is complete, meaning the whole rally would be over, and we wouldn't see new highs for a while. In conclusion, the double-retrace option (second red "iv?" 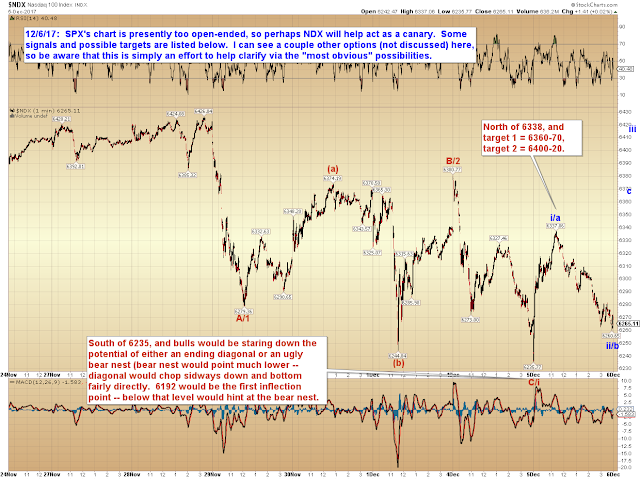 on SPX) looks pretty viable at the moment, and we'll just have to play it by ear into the next couple sessions. Trade safe.